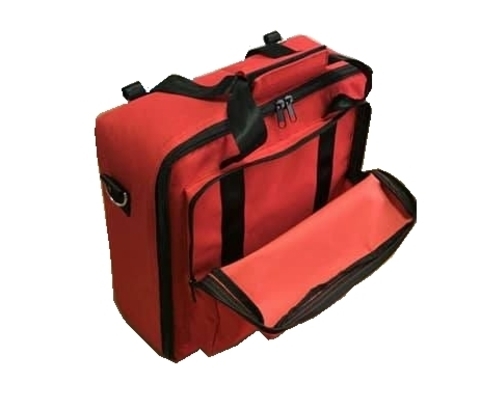 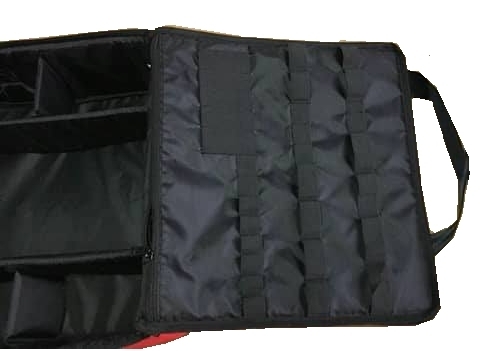 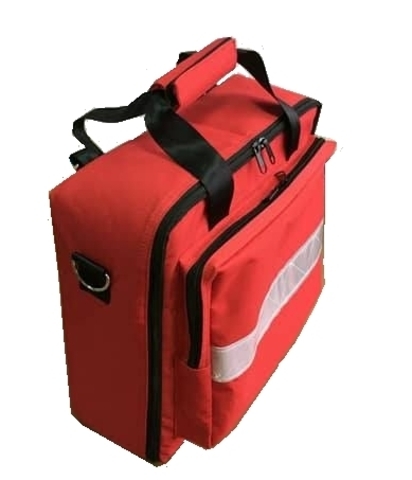 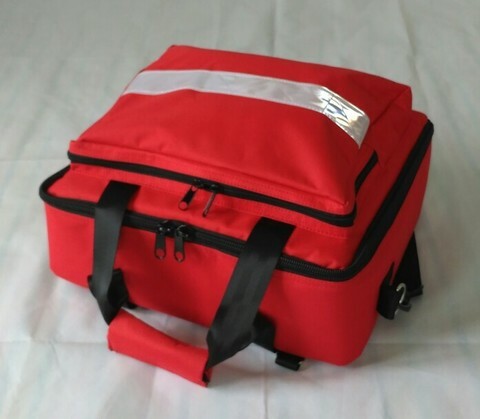 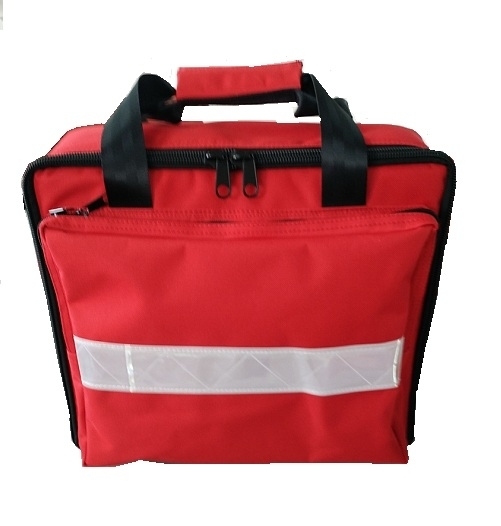 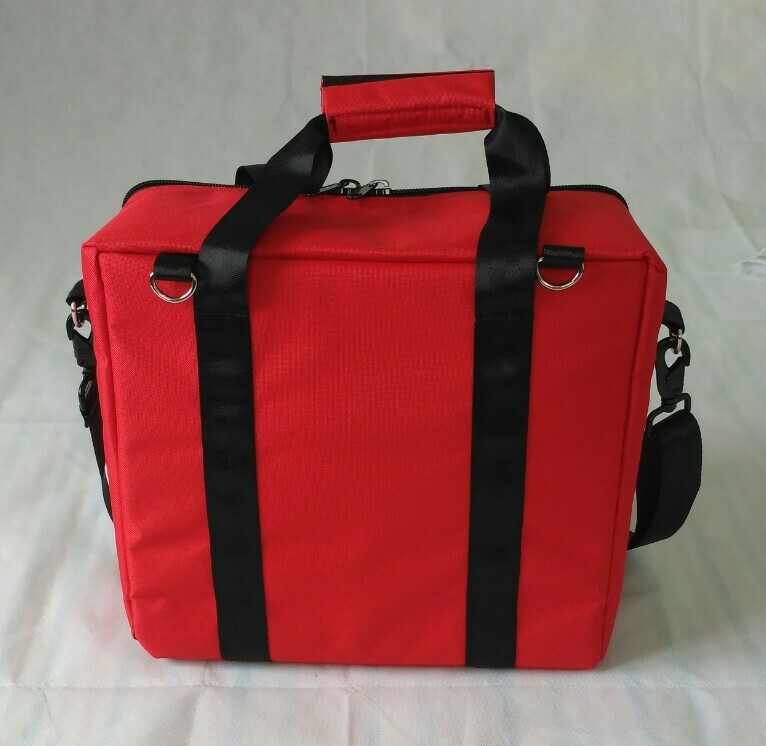 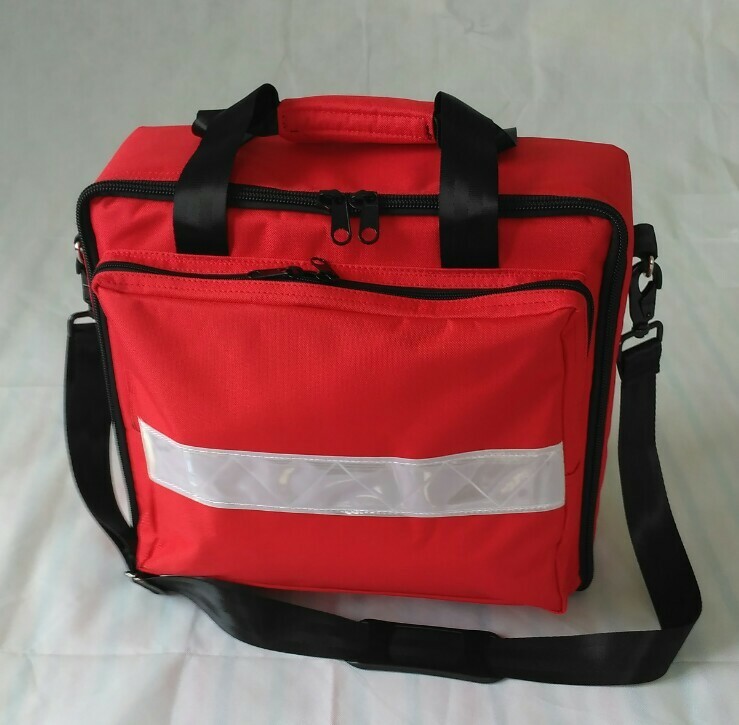 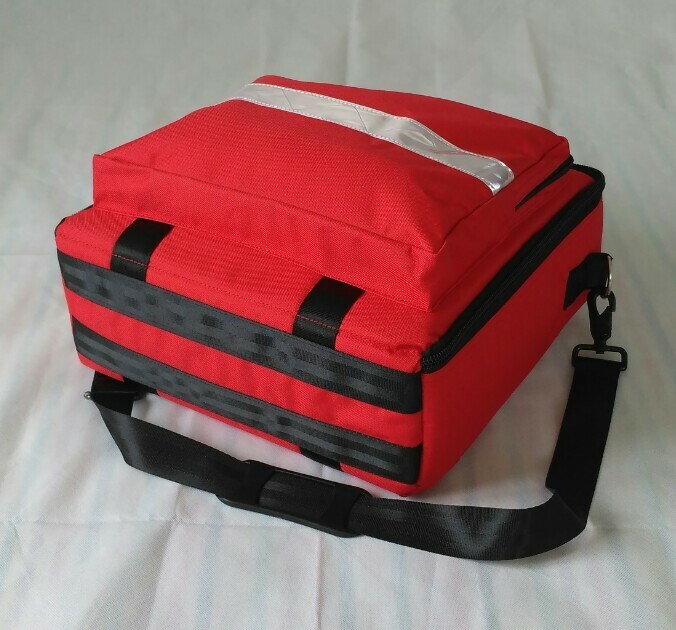 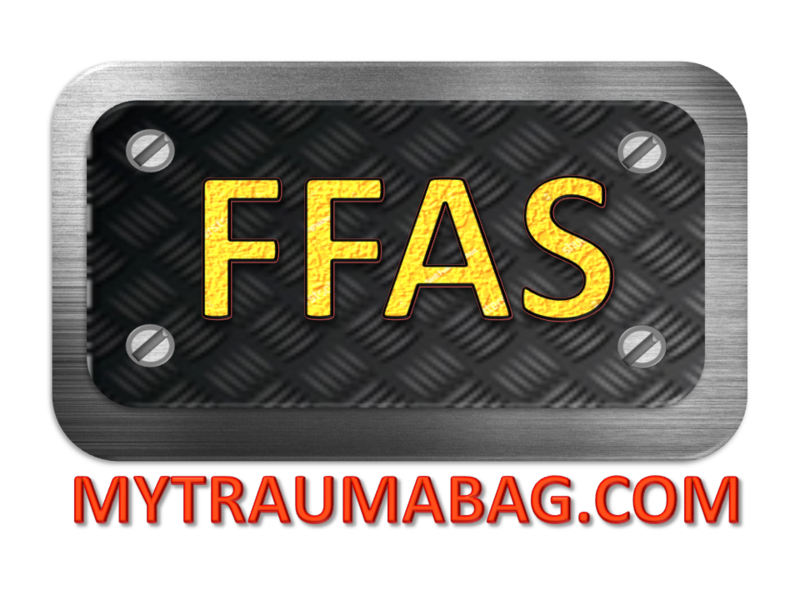 The FFAS Medcarry Bag is a great choice for doctors, nurses and healthcare providers to bring their medical supplies and equipments. 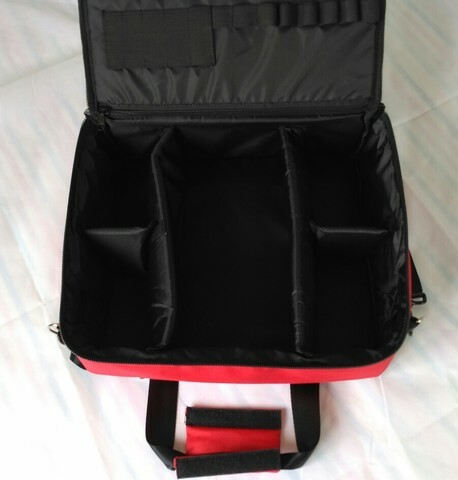 Supplies can be organized and viewed systematically on the main compartment. 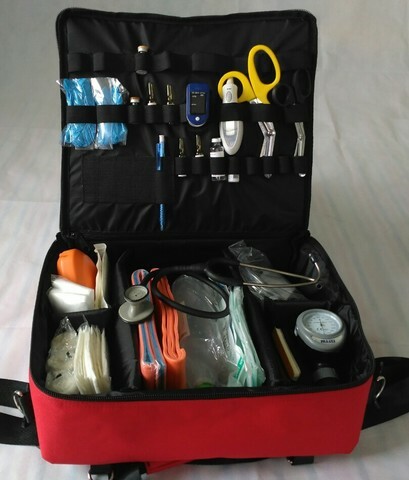 Plenty of elastic loops on the main flap for storing equipments, shears, ampoules, syringes and other necessities. 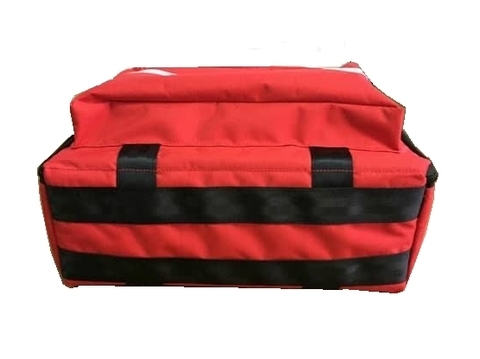 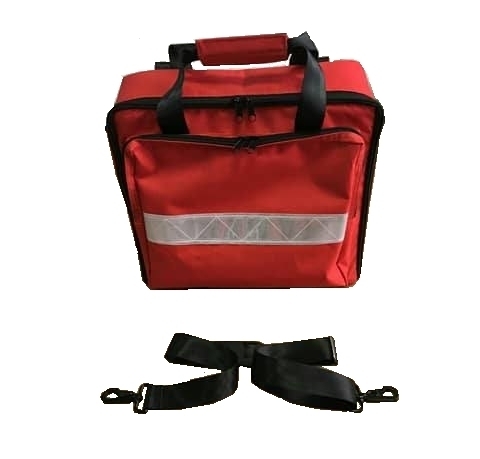 The bag comes with paddings on all sides to protect equipments. 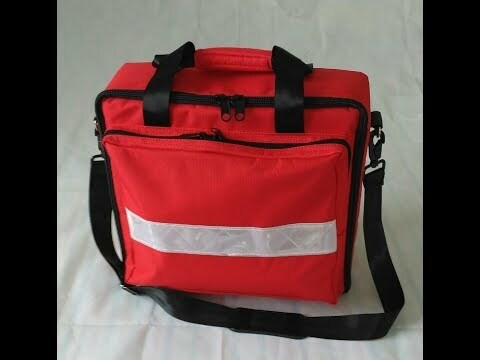 The bag comes in red colour with a reflective high-visible piping on the front. 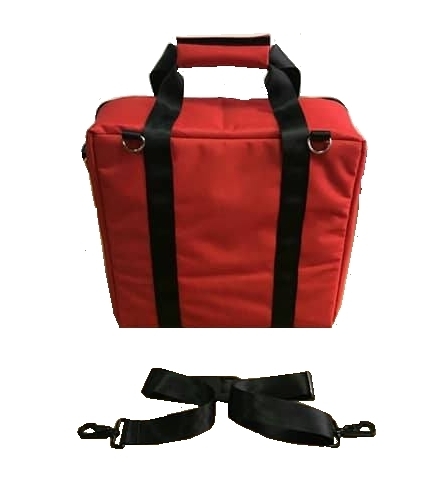 - Bag comes with a high quality & durable shoulder carry straps. - High quality material for handle, carry straps and hooks. 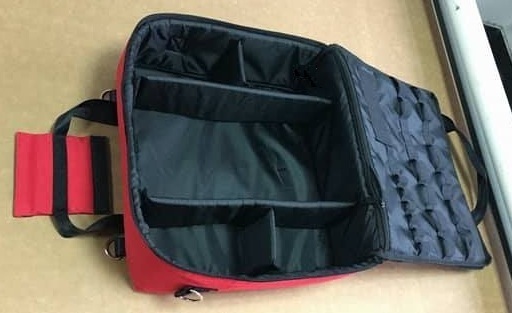 - Open to reveal all content, easy access. 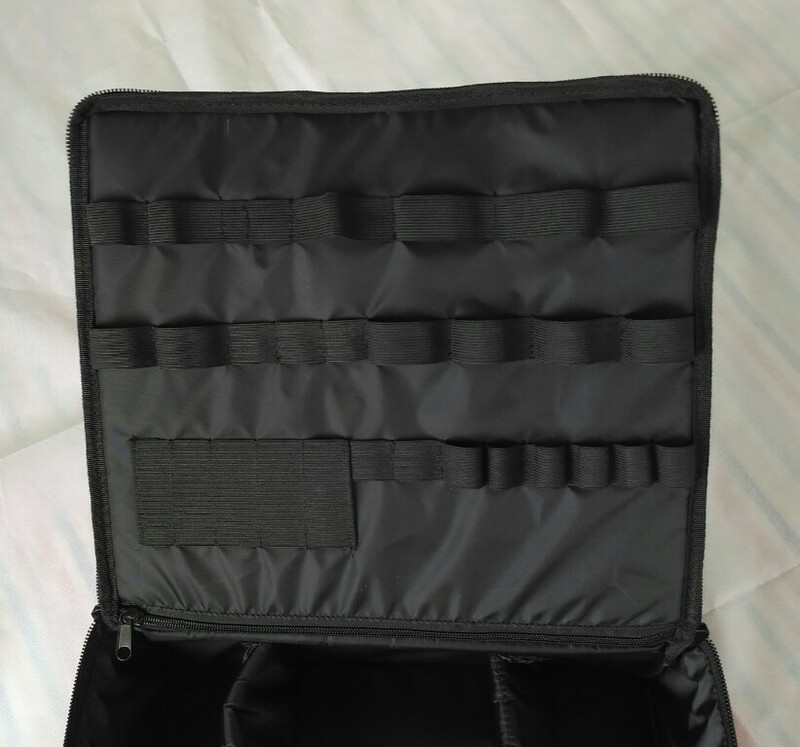 - Plenty of elastic loops for storage. 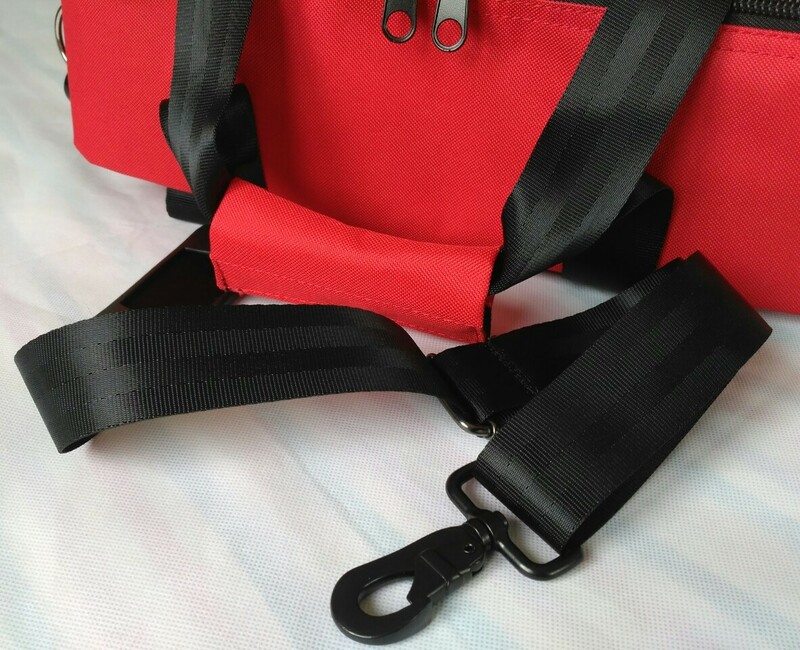 - Alternative rings for carry straps. - Bag only. Equipment/ supplies not included.